Nobody can fail to see the registration ES-ASM on this Saab 340A, arriving on Stockholm Arlanda’s runway 26 after a flight from Tallinn for Estonian Air. 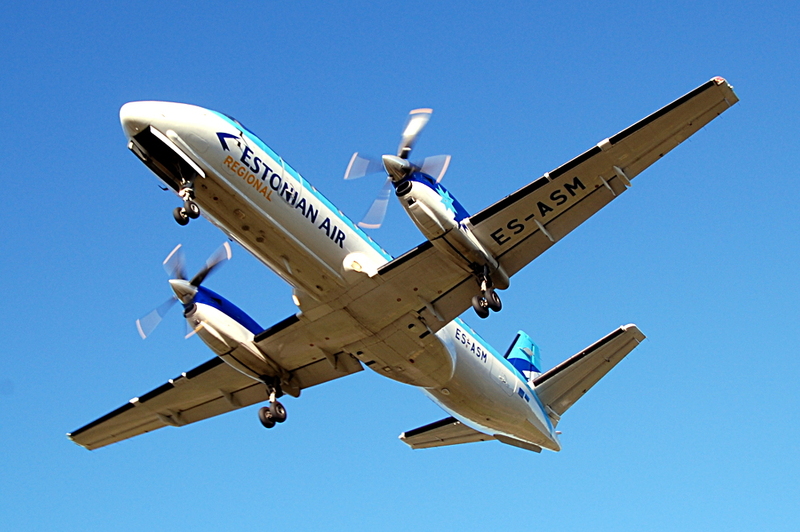 Since delivery in 1988, this airplane has flown for Crossair, Business Air, Prima Air, Air Ostrava, Slovak Airlines, Maxair, Trygg Flyg, Air Nelson, Estonian Air, and Airest. Since 2014 it’s been flying as a freighter.